History as lively and irreverent as the characters it portrays. No marble statues here, but men and women as you’d like to meet them–and some you’re glad you didn’t meet. ~ H.W. Brands, author of 25 books of American history and Pulitzer Prize nominee. It’s Texas history time! Don’t give your students a dry rice cake for a resource– serve them an extra large order of chili cheese curly fries covered in ranch dressing. 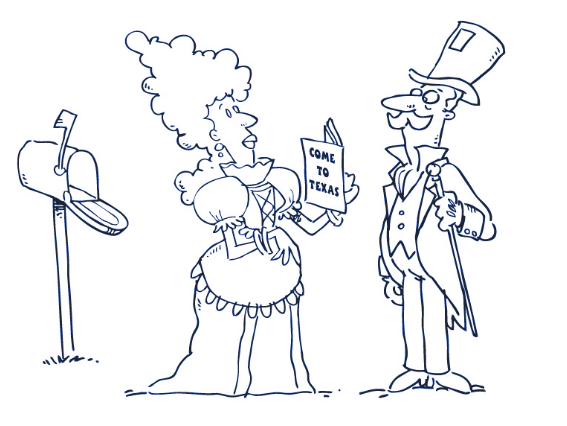 New history book series delivers Texas history leavened with humor and contemporary historiographical debates. Old-school research meets a new voice that connects with students and delivers the message that history matters. Finally, a book that is not historical FICTION, but one that delivers actual historical facts AND one that the students will read and enjoy!